I was born and raised in Windsor, NC. 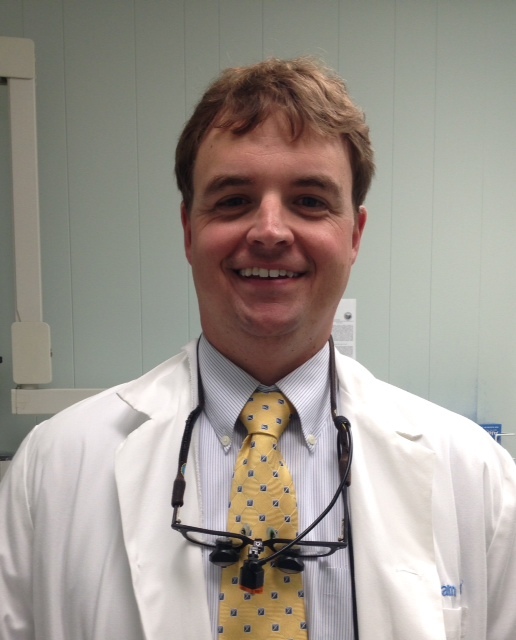 After attending Hampden-Sydney College, I trained at the UNC School of Dentistry and graduated in 2004. After working in a large group practice in Greenville, NC, I was ready to move back east and was fortunate to find an opportunity to come in to practice with Dr. Charles Mahaffey in Elizabeth City in 2006. Soon after, Dr. Mahaffey retired, and we have been going strong and growing ever since. I invite you to explore my website. Many questions about dental procedures are answered here. The video section is especially informative. My staff and I are always available to answer any questions you have whether you are a current patient or not. Please feel free to call us.